Within 1 month, Dashon Johnson left his California home, moved to Vegas, hired MMA super agent Malki Kawa, and got signed to the UFC. Dashon will fight TUF Nations’ Jake Matthews on the UFC New Zealand card. When looking up Dashon’s record, some MMA media outlets put out articles about if Johnson’s record really reflected who he is as a fighter, because of his caliber of opponents. At this point, the conspiracy theorists and bloggers got their torches and went on the hunt. Dashon fought his 9-0 career in Xplode Fight Series and they seem to have been getting the brunt of the criticism hurled their way. However, they failed to mention that he trains with the likes of Robbie Peralta, Derek Anderson, Jesse Taylor and many other top professionals that have homes in North San Diego. These articles want to know why their local pick was overlooked for Dashon. We interviewed President Gregg Sharp who responded to the criticism and accusations. I think it’s fair to say there is an article on Dashon because he made it to the UFC and the UFC is news. He has taken a path through XFS and the UFC made the decision to sign Dashon based on his merit, not myself. If they believe Dashon is the right fit for them right now then good on them and kudos to us for having a fighter who fought in our organization, in the UFC. Every fighter has a goal to become the UFC Champion of the world in their weight class and Dashon is one step closer to that goal! A lot of people don’t like the fact that we do non-commissioned events in California. Straight answer…We do them because there is a financial savings and there is no one in the commission that will regulate any event better than we do. CSAC is there, in my opinion, for a paycheck and always have been. How else can you explain $800 plus mandatory physicals from CSAC approved offices? Then how do you convince a fighter that just paid for his physicals that he is fighting for 100/100, 200/200 or 300/300 in their first fight (I have seen several contracts that offer these purses)? You can’t! How many shows have broken off events because of the way they handle their business. I would love to see the stats on how many events in California that are commission driven that never make it to fight day because their fight card completely fall through and they have no options to fix things. Make the system promoter friendly and guess what will happen… More promoters will work with the system, including XFS! Have you seen the UFC in California recently? How about Bellator, other than on the Pechanga Indian Reservation? We have shows in Iowa and work with their commission and they are TERRIFIC to work with. We use the same standard format that the Iowa commission does at our shows in So Cal. Every fighter goes through a pre fight physical, they weigh-in and if they do not make weight the fight is either agreed to at that weight or re-worked within the parameters that we have. Our events are all insured and our judges have 100’s of fights in experience within judging. Our referee’s have been Cecil Peoples, Jason Herzog or Luis Cobian for the past several years, which are all UFC referees. So who we are is not at all out of line from any other promoter in the county. We have the flexibility in the state of California to substitute fighters if someone’s opponent pulls out before or after weigh-ins. Dashon has a long resume in boxing and is 15-15 there. Ask Adam Trupish (#10 middleweight at the time), if Dashon can punch! He’s a physical beast and sometimes opponents get scared and pull out at the last minute. Come fight night and an opponent doesn’t show up, we have to make a decision. Dashon’s last two opponents were Ben Khoshaba and Fabian Diaz. Check the fight posters if you really want to go on a witch hunt! Both of them pulled for reasons other than injury. The list of fighters we had agreements with to fill in and then drop within both events time frames, is a who’s who of camps and fighters in San Diego. All say yes, then a week later they all bow out. Is that fair to Dashon? So what do you want XFS to do for a fighter that made the commitment? Do we cancel a guy’s fight after he put the work in a 2 month training camp, tirelessly marketed his fight, and sold tickets to his fans? Or do we get someone to fill in last minute? Will they be champions of the world who fill in? No. It’s not fair to stack the deck against a fighter who did his part by training and is ready to compete, to throw a high level competitor against him that he knows nothing about. I have seen that scenario so many times it makes me sick. Fairness is the key to success, not stroking the promoter’s ego. I feel what we do is a fair and decent call. We try to put in guys who are scrappy, competitive, and will go for the knockout. Last week, we had 7 guys pull out between the weigh-ins and the fights. What is the solution? There is none. You cannot teach or practice heart. So, we bring in fighters who fill in last minute. Back to Dashon’s last 2 fights… He had 4 opponents change out over the final 3 weeks, each time. We had no choice but to put someone in there that could at least compete with Dashon. His opponent Jordan Delano isn’t a winning fighter by any means, but he can compete with Dashon. Ultimately we are here to PROGRESS fighters to the higher divisions. We aren’t here to be an organization like the UFC, WSOF or Bellator, we are a fighter progression system. Those guys are the pinnacles of success that all fighters use as their future calling card. Our goal is to get the fighters looks, exposure, and help them PROGRESS to those next levels. Dashon has progressed! This truly needs to be cleared up, in my opinion… I am the sole owner of Xplode Fight Series. I own the name Xplode and XFS as well as several other marks, sayings, and logos in the world of MMA. They are solely mine. The parent company of Xplode Fight Series is A2M Entertainment, Inc. My last gym in Escondido which was operated by a separate corporation for 10 years, was Escondido Sport and Fitness. I created the team, ‘Xplode MMA’ in 2008 and brought in as my MMA director, Johnny Hughes. Other local promoters were stealing fighter’s ticket money and doing them dirty in the area, so that’s why I came up with Xplode Fight Series, as an operation to help fighters progress. The company would present fair and balanced solutions. ‘Fair’, in that they won’t lose their ticket money and ‘balanced’ meaning that an opponent they are going to fight is someone who has an opportunity to win, but it isn’t being stacked against them. If I have a 1-0 fighter who has fans coming down, I’m not going to pick a 10-0 guy to fight them because their opponent pulled last minute. That game was being played long before I entered the scene. There has always been a conflict of interest to me when it comes to managing fighters and having them fight for me. 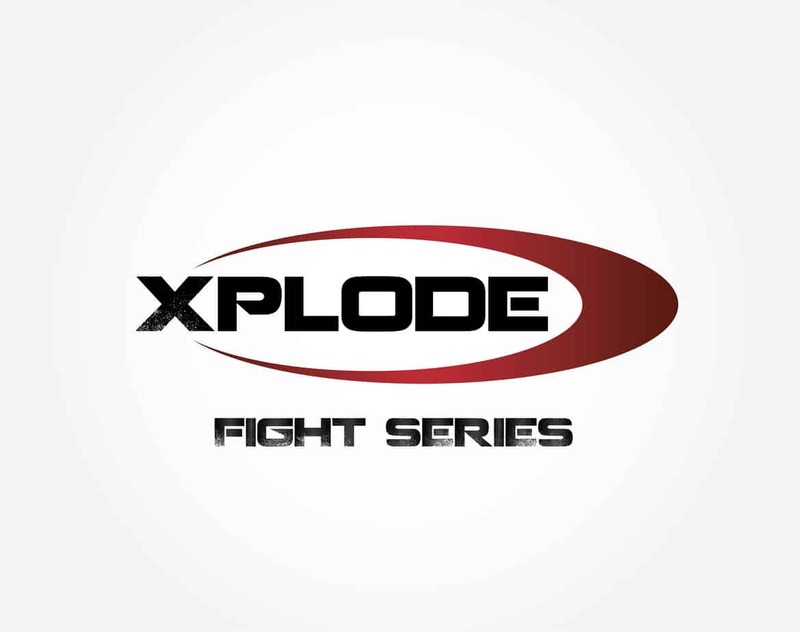 So there is a distinct difference between Xplode Fight Series and Team Xplode. Team Xplode is run by Johnny Hughes, who has a gym in Escondido. However, Team Xplode has nothing to do with Xplode Fight Series. 2 separate entities. Since the team was underneath my building at one point, I’ve allowed them to continue to use the name. As for the management entity that I own, it has been dormant for 4 years. I established it to represent a script writer as we were pushing forward to have his movie made. Outside of Sam and a few other entertainers, I have not managed anyone since starting XFS. What people seem not to recognize is that I’m not the UFC. I don’t have 100’s of millions of dollars to put fights on against the highest competitive people. Are Walel Watson, Danny Martinez, Keith Berry and others coming to XFS because they want to fight the top fighters in the world? No, we cannot afford those purses. They come to us because they live locally and want to get their career back on track. Guys aren’t coming down from Canada for an easy fight or up from Brazil. Was then Sergio Rios 6-0 vs Tom Gloudeman 7-4-1 a layup for either fighter on last week’s card? It was certainly more compelling than Keith Berry vs 2-6 Rich Rigmaden in Bellator 92! In these fighters case it’s our local guys trying to get back to training and working on their cage skills while re-establishing their confidence. Walel and others are terrific fighters and outstanding competitors in my opinion. BUT, Ask the question; Why did the UFC let Walel go? Because he needed to develop more at that time and progress… and what are we? A PROGRESSIVE ORGANIZATION. An easy analogy…we are very much like a minor league or farm league team. If David Ortiz was to get hurt or go through a huge slump (it would have to be) and was sent back to the minors to get his swing back on track and hit 4 homeruns against a guy who is 0-7 as a starter on the mound, would Ortiz get persecuted because his ability far exceeds those he is playing with? Of course not! The headlines would read ‘Ortiz is on the comeback trail’! Anyone who understands the matriculation of athleticism knows that when you have reached your potential and you begin moving backwards, for whatever reason, it’s time to reassess where they are and redevelop their skill set. Right now that’s what Xplode Fight Series is all about. If every organization would post their results in a timely manner we would know when local guys competed. If you said I booked a guy 3 times in 3 weeks, then you are a liar. Our events are 2 months apart. I don’t know if a guy I book fought a week earlier at another organization, because they don’t post their results on Sherdog. How am I to know he competed? So don’t come to me and say, ‘this guy fought twice in a row, how is that spectacularly safe on your end Gregg’? I have no idea they fought because it isn’t on record anywhere. I received video tape and picture evidence from Chris Kirtley today to help him put a fight that is not on his record up from 2008! I help fighters correct their records more than anyone else because of lazy promoters. So if you want safety go after the promoters that don’t put any results up until months after! Also important to note..There are times where these fill in fighters almost win. Look at Keanu Fleming. He was a fill in fighter, but decided to join a camp and take his career seriously. 3 weeks training with a legit camp and he took on one of our up and coming prospects, Luiz Morales, in a three round fight. Luiz’ opponent had developed an abscess that burst the week of and there was an open exposed area left behind. I immediately cut his opponent from the card because of this. Keanu stepped in and took the fight. Other promotions may have simply told the opponent to tape it or cover it just so they could have the fight happen. It’s been done, because before I started XFS I saw it first hand! In the end, these fighters are there to compete and step up when we need them to. They take their roles seriously and show up to fight. They are asking us if they can fill in, in a pinch and we are utilizing them. You can’t point fingers at us for utilizing the strengths that we have at this point in time. In a perfect world, I could be the UFC and have 500 million in my pocket and I could have Dashon fighting anyone you pick and I can pay them accordingly. It’s 100% safety and progression and I think we do a very good job of that. It needs to be said that, the goal of a fighter should have that dream of being a world champ. You should run your fight career like a business. If you have a successful business plan to get to the next level, then you should be commended. If your business plan is more streamlined than the next guy then kudos to you. It’s important to know that I have ZERO vested interests in any fighter. I am not paid any kind of management fee or residuals. I profit and benefit from these fighters who continue their career out of our organization in no way shape or form. I submit, on a regular basis, to all sources who I believe in the organization is worth looking at. In the end I would love to see every fighter fulfill their dreams and make it to the top!